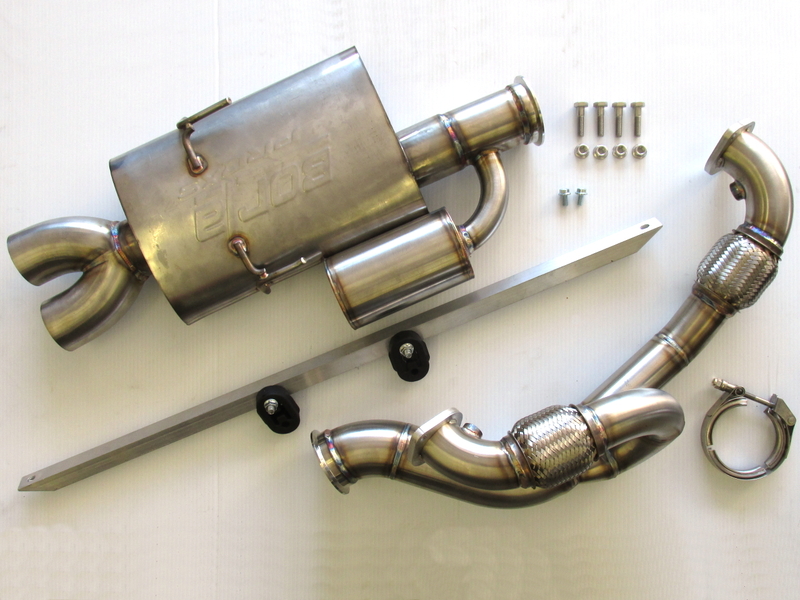 The Wilhelm Raceworks Y-Pipe for 2GR-FE swaps into the MKII MR2 connects Frankenstein Motorworks headers to the Berk Technology muffler. 304 stainless steel TIG welded construction, with 2.25" pipes before the merge and 3" pipe after the merge. 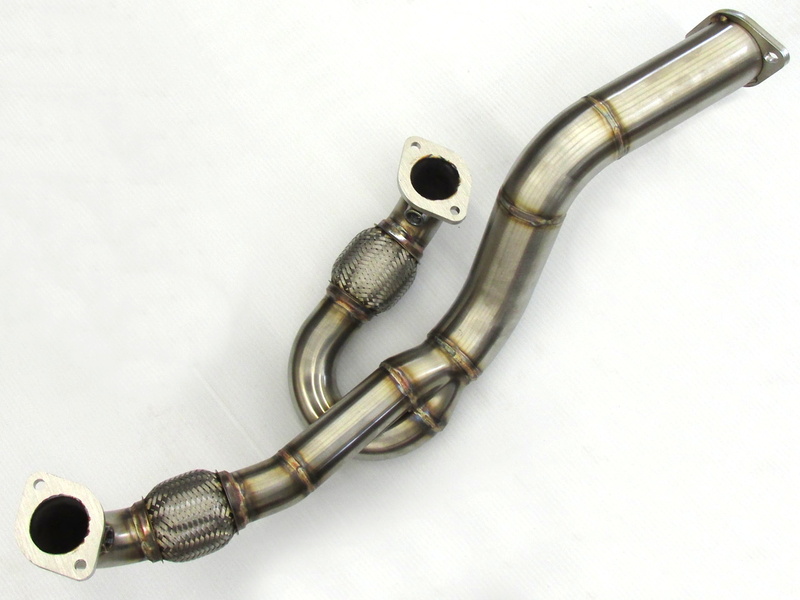 Includes stainless steel hardware for connection to both the headers and the muffler, as well as a gasket for the Y-pipe to muffler connection. 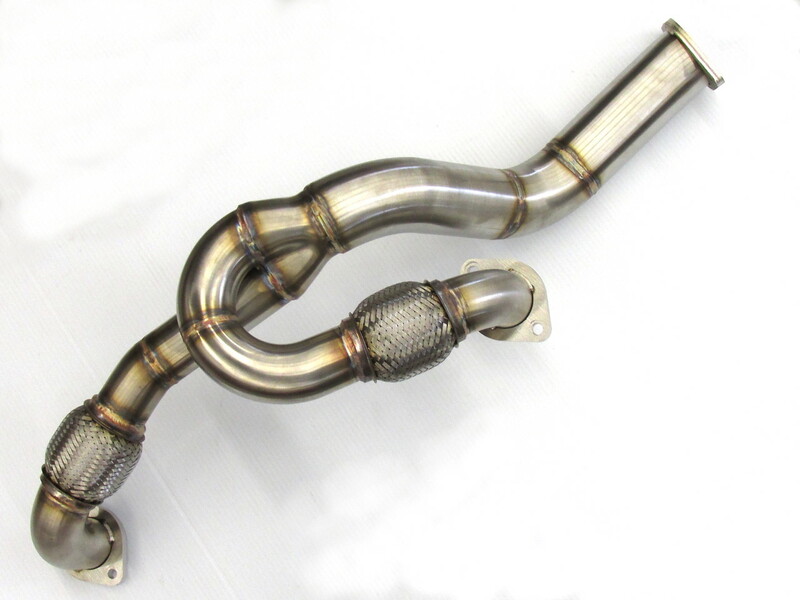 Note for International Customers: My site does not calculate international shipping on the Y-pipe. International shipping generally ranges from $90 to $130. I will send an invoice for the actual shipping cost after you order. For those looking for something a little out of the ordinary, I am now offering a complete (header back) exhaust for the 2GR, featuring a twin tip center exit design and a Borla Pro-XS muffler. 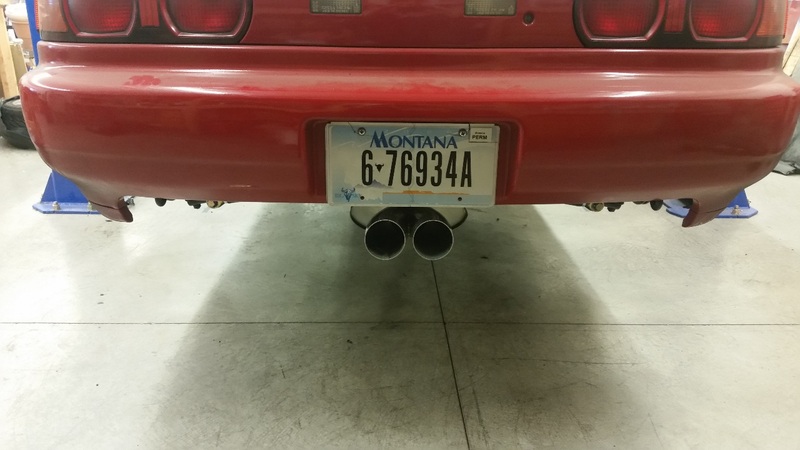 Not only does this provide a unique look and awesome sound, it also saves about about 16lb off the back of the car compared to the Berk Technology muffler. Please note that this does require drilling three holes in the floor of the trunk to mount the muffler bracket. 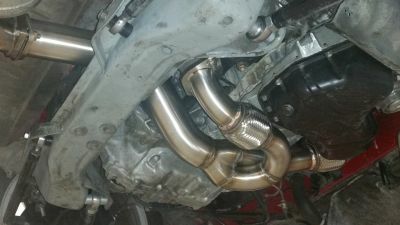 More pictures and info can be found in my blog where I documented the build of the exhaust for my car. Note: I have these built in small quantities, please contact me to confirm stock before order. If not in stock shipping will be delayed by 3-4 weeks. Note for International Customers: As with the Y-pipe, my site does not calculate international shipping on the full exhaust system. International shipping generally ranges from $100 to $150. I will send an invoice for the actual shipping cost after you order. The Y-pipe is identical to my standard pipe up to the V-band flange. 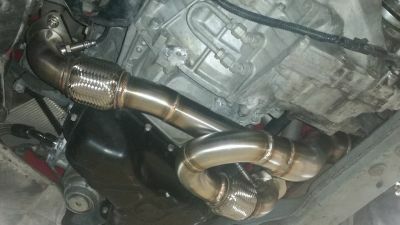 For those who have already purchased my y-pipe and want to switch out their Berk muffler for mine, I can modify your y-pipe for you and sell you the muffler on it's own. Please contact me to discuss this option. Copyright © 2019 Wilhelm Raceworks, LLC. All Rights Reserved. Designed by JoomlArt.com. Joomla! is Free Software released under the GNU General Public License.